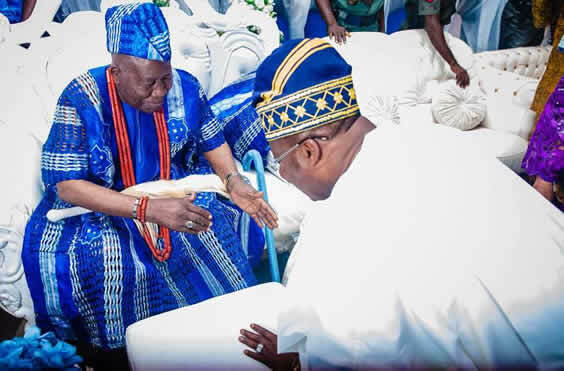 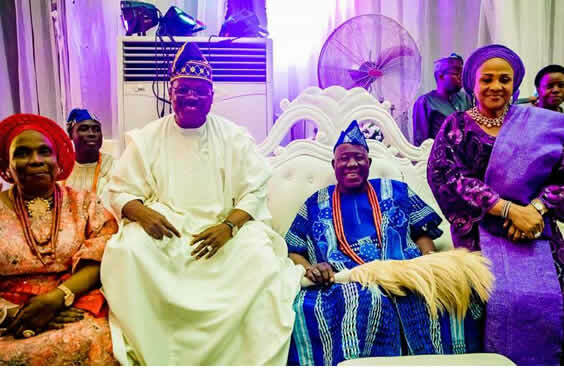 Olubadan of Ibadanland, Oba Saliu Adetunji, played hosts to family and friends as he marked his 90th birthday on Sunday. 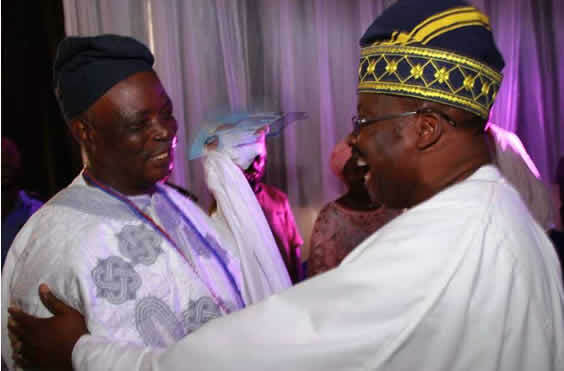 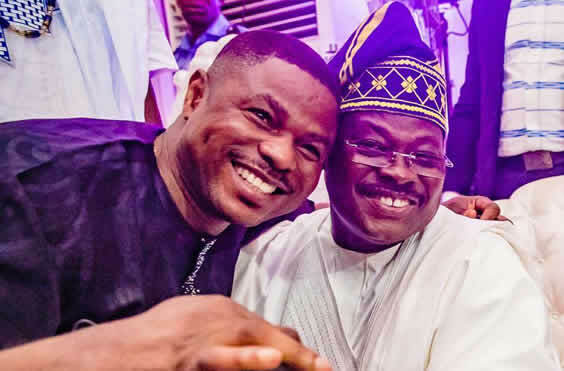 L-R: A former Governor of Oyo State, High Chief Rashidi Ladoja; and Governor Abiola Ajimobi, during the 90th birthday reception for the Olubadan of Ibadanland, at the International Conference Centre, University of Ibadan, Ibadan… on Sunday. 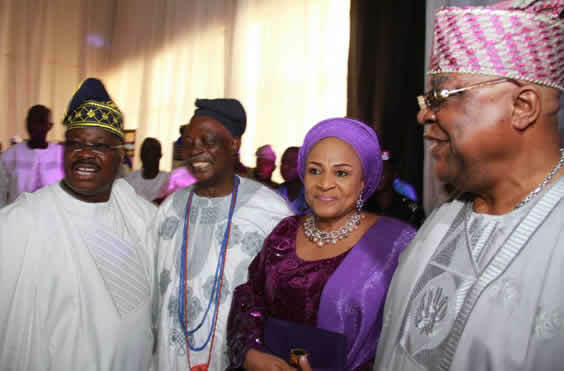 Photo: Governor’s Office.